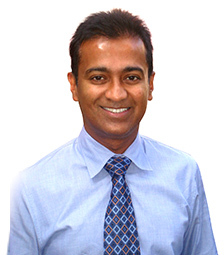 Dr. Mani Raman is not only a leader in the field of medical and surgical dermatology; he is also a pioneer of new technologies aimed at improving the lives and looks of his patients. He is committed to finding the best and least invasive ways of restoring a vibrant and youthful appearance. He strives to maintain the most up to date technologies in facial and body rejuvenation. A respected authority in his field, Dr. Raman is a sought after spokesperson and lecturer for the cosmetic dermatology industry. He is also an educator for medical students and postgraduate trainees both from Canada and abroad. Dr. Raman completed his undergraduate training at the University of Ottawa, and his medical and dermatology training at the University of Toronto. He is a Fellow of the Royal College of Physicians of Canada, Fellow of the American Academy of Dermatology and Dermatologic Surgery, and a Diplomate of the American Board of Dermatology. He also holds a Master’s Degree in Physiology. His major interests lie in non-invasive cosmetic rejuvenation techniques. This includes Botox, fillers (Restylane, Juvederm, Teosyal, Sculptra), lip augmentation, non-surgical facial contouring and lifting, the newest in laser technology for wrinkles, photorejuvenation, tattoo removal and facial pigmentation. He is also committed to medical dermatology, skin cancer removal and clinical trials investigating new and innovative therapies for skin diseases. Dr. Raman and his staff would be delighted to discuss any of the procedures listed in this website in greater detail during your consultation.